Can you study piano in a digital piano keyboard? Digital versus Acoustic. Time ago, while examining an old piano owned by a lady who wanted an estimate to decide if it was worth it to repair, she came out with this question: Is it possible to use an electric piano for a child who is going to take piano lessons for the first time? Can you study piano in an electric digital piano? What a question for a piano tuner! Clearly the lady was pondering the possibility of buying a cheap digital thing in case the estimate for repairing and tuning the old piano was too high. I don’t have the habit of cheating my customers, but neither I am fond of throwing stones over my own roof. Sometimes truth match our own interest, and this was one of those rare occasions. So, sure not to be bias and well in peace with my concious, the answer to the odd question was obviously: (yes, you guessed it), No! 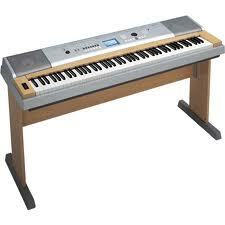 Undoubtedly digital pianos have qualities that make them attractive to many people. For example, its lighter weight and smaller size makes them easier to handle and place them anywhere in the house. They never get out of tune and don’t need servicing. Can easily change pitch, so you don’t need to transpose. Can play orchestral sounds, make rhythms and even record and reproduce what you play. Anybody can become an accomplish pianist just by pressing a key….! Or at least that’s what it appears. Comparing the impressive array of features that digital piano has with that of the acoustic one, becomes clear that the digital piano wins by a landslide. So, what strange reason could motivate somebody to buy a traditional piano instead of a digital one? What disadvantage has the digital piano, if any?. Well, actually just one, and that is that the “digital piano” is not really a piano. In my humble opinion, the term “digital piano” is inherently wrong and leads to confusion. 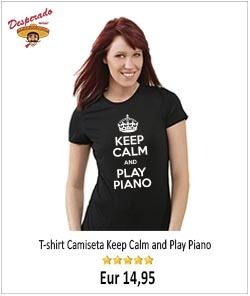 Perhaps traditional piano makers shouldn’t allow “digital piano” makers to use the name “piano” to market their products. Same as they do with wines and cheeses producers, to ensure the authenticity of their products and guarantee its proper designation. No kidding, I’m serious. From here I propose the idea. A real piano is made by craftsmen. Noble materials are used in its construction, different types of wood like mahogany, walnut, ebony, spruce etc. Also, steel, brass, leather, felt, ivory for the keys (no longer used) and so on. Its operation is completely mechanical or “analog” as they say now. The experience of playing a real piano has nothing to do with that of playing a digital instrument. The gentle subtle touch of the keys, the full rich authentic sound (even with its imperfections), the warmth and the feeling that conveys, the looks, the smell of wood, and so on. No, it is not comparable at all. Maybe I am a romantic, but I prefer the touch of wood rather than plastic. Another very important point to take into consideration is the durability and life span of the instrument. An acoustic piano is very strong and good quality ones are made to last a long long time. Providing you take a minimum care (just tuning once a year), your piano will last a life time. The piano becomes a member of the family and can easily be passed to the next generation. I have known pianos dating from the 20’s (last century) in pristine condition. On the other hand, an electric piano that is played reasonably often, will only last a few years. As it happens nowadays with any electric appliances, digital pianos are made so that they will be broken soon. Guess way? so that you buy again, naturally. The fact is, a digital piano can not take the heavy pounding of an acoustic piano. In the life span of a decent acoustic you could end buying a good number of electric ones. So, where is the saving? So, going back to the original question, can you use an electric instrument to study piano? I sincerely believe than using an electronic keyboard to study piano is not advisable. I think it is important for the student to get accustomed from the beginning to play and appreciate the subtleties of a real piano. Also, it is a fact that a good instruments motivates the piano student and improves the rate of success in piano studies. Probably you have guessed by now that am not precisely a digital piano lover… Then, is this a hatchet to digital electronic keyboards motivated by the obvious corporate interest? Not really, the idea is to objectively clarify the points. Neither digital pianos can be compare with real acoustic pianos nor real pianos can be compare with the digitals. This is so simply because they are different things for different purposes. Long life the piano! I usually practice difficult technical works on Roland RD 700-NX electronic keyboard. The reason I do this is because it will always have a closer feel to a grand piano than my vertical Baldwin acoustic sitting out in my living room. Roland has made the feel of the keys with such fine quality it actually feels like a grand piano or better. My upright on the other hand simply and obviously cannot ever match the horizontal action of a grand or the similar “gravity response” action of the Roland. It seems like the Roland keyboard will always be my choice, whether it be for concerts as an accompanist, small side gigs, or general practicing just because it offers a great feel and fantastic array of sounds on call. But there is one thing that electronic speakers will never offer me, the pianist, sitting one foot away from the instrument and that is that natural omnidirectional sound. And it’s that omnidirectional sound that I enjoy whether it is the slightly out-of-tune “laid back” sound of the medium tall dusty upright piano in the back of the concert hall or the earsplitting, heart shattering, boasting sound of the Steinway 7 1/3 octave black grand piano or the glorious Bosendorfer 8 octave piano. Moral of the story??? Keyboards and acoustic pianos will fight over each other for quite some time. A new Perzina that goes for about 5500 euros. Sounds real nice. I also looked at a new Boston for about the same money, a new Kawai for about half as much and a Yamaha U1 (used but in good shape) for about the same price as the Kawai. There are also many old pianos around. Some of them of famous brands (Stainway, Bluthner, Bechstein, etc) , but I do not like old pianos. They just don’t sound right, the action shows the age of the instrument and are a pain to maintain. Any advise that you can give me? Digital pianos are alright but can not be compare to acoustic ones, they are simply different instruments. I have still got the acoustic piano I played as a boy. I had thought of getting rid of it and replacing it with an electronic gizmo, but I discovered that with the aid of a computer it is possible to fine tune it so that it sounds like a grand! The drawback of an old acoustic piano is when it gets out of tune, and the felts and tapes need replacing, and then you get broken damper springs. If you can do the repair work and tuning yourself, then a real piano will be much better than an electronic keyboard. However, if you don’t want this work, then I would seriously consider getting a digital piano – it will allow you to practice on an instrument is at least in tune if nothing else! Nowadays you can get digital pianos with weighted keys which makes it seem like you are playing a real piano, but these cost more. I wouldn’t hesitate to get a low-cost digital piano if you have no piano at all – they are really good value compared to what you would have to pay for a real piano! 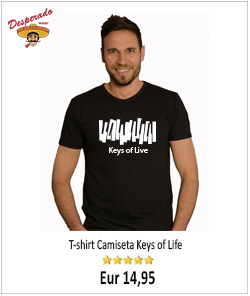 how long is the lifespan for a digital piano compare to acoustic piano?? some say about 10yrs for digital piano and 25yrs for acoustic piano, is that right? what is ur opinion?? Concerning a digital piano, providing it has a medium wear, I would put the life span about seven years, certainly not more than ten. Of course as I said before, that is relative and depends much about the person who owns the instrument. I enjoyed reading your post. 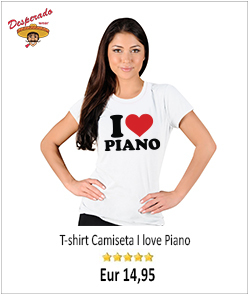 You make a very strong case for REAL pianos. I certainly understand why you prefer them over digital pianos. As you say, the digital piano lacks the “soul” of a real piano. Can I ask your opinion on something though. I’ve been checking out the Yamaha P95 and some people say it’s a very good substitute if you don’t have space in your house/home for an acoustic piano. Do you think it’s ok to get a digital piano (instead of an acoustic) if you just don’t have enough space for a real piano? Thanks, for your comment. That’s right, the aim of the article was to point out the fact that an electric piano is not a real piano, the terminology gets confusing! Personally, I have nothing against digital pianos, I have myself an old Yamaha Clavinova which I use specially at night if I want to play without disturbing anybody. By the way, I also love Beethoven, specially the 6 and 9 Symphony.